Kid Chameleon Sega Genesis Game cartridge Cleaned, Tested, and Guaranteed to work! Couldn't find this game for under $30 locally. Was thrilled to find it on Lukie for such a great price! Game looks good and plays well. Order was received on time. SEGA Technical Institute is very famous for make very good games like Sonic 2 and Comix Zone but for me, this is their definitive Masterpiece!!! I received a cartridge with good conditions!!! Kid Chameleon makes Mario look like a punk! lol but seriously, both games are great. Any old skool Mario fan would definitely appreciate this game. What an awesome game! 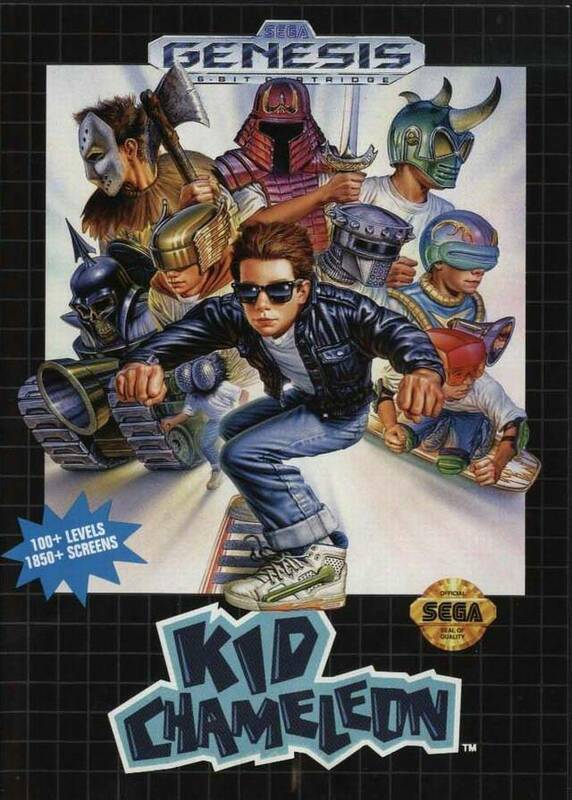 Kid Chameleon is one of the best games in the Sega Genesis and surely one of the best platformers of it's age. There are more than 100 levels and some of them are a real challenge even to the more skilled players. It's really cool to be able to transform in other characters by collecting helmets, each character has it's strenghts and weaknesses, which adds a lot of strategy to the game. It's a fun and addictive game that will make you spend many hours in front of your tv. Highly Recommended! This was one of my favorite and most played Sega game back in the say. It's a side scroller, but with many twists and turns. You get different helmets that turn you into different characters with different abilities. I love it when I can turn into the fly and the cyclone flying guy. The cool thing about it is that you don't go through one level at a time. You transport every which way through the game and somehow end up in the right place. Some of the levels get pretty challenging, but it's still fun and a great game. A must have. A strange, quirky fun ride! 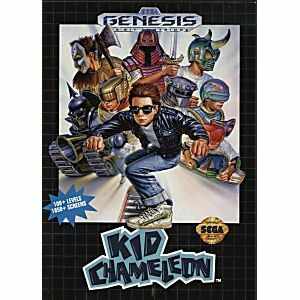 Kid Chameleon is featured on most of the Sega compilations that have come out over the years, and for good reason. It did a decent job demonstrating what Sega had to offer in comparison to Nintendo. Primarily quirky, bizzare, and downright weird characters & level design. You could turn into a German zombie battle tank riding through hell, a samurai knocking around blocks, or a Jason Vorhees like character choppin' robots with axes. It's fun, it's funky, and it's a darn fine action/platformer.